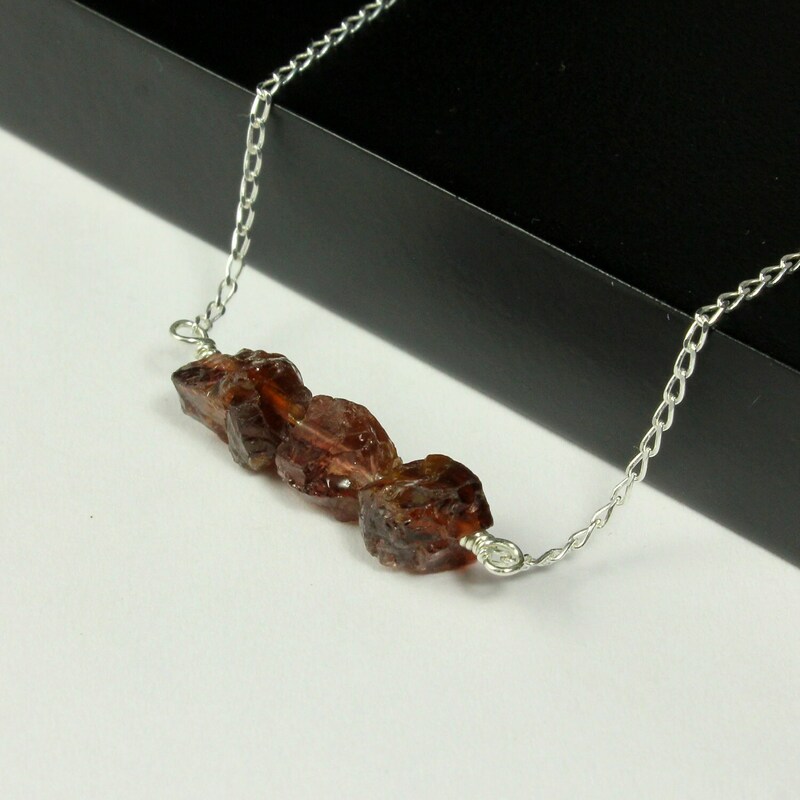 This triple stone necklace includes two 6x10 mm garnet stones and one smaller size stone in 7x6mm on the middle. 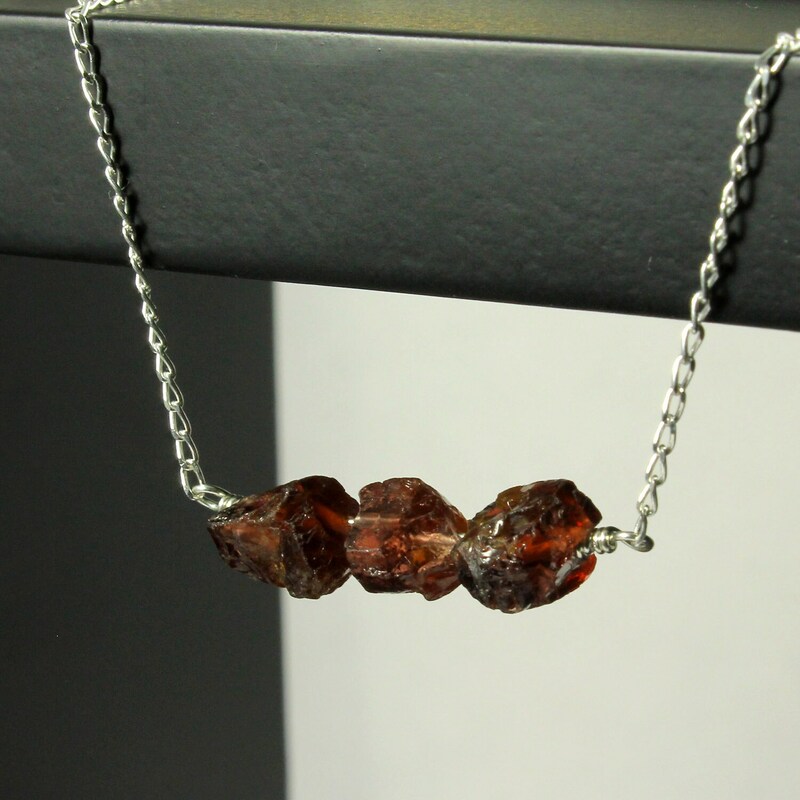 These rough, raw, natural garnet stones are in deep red color and their uneven shape makes the necklace one-of-a-kind. 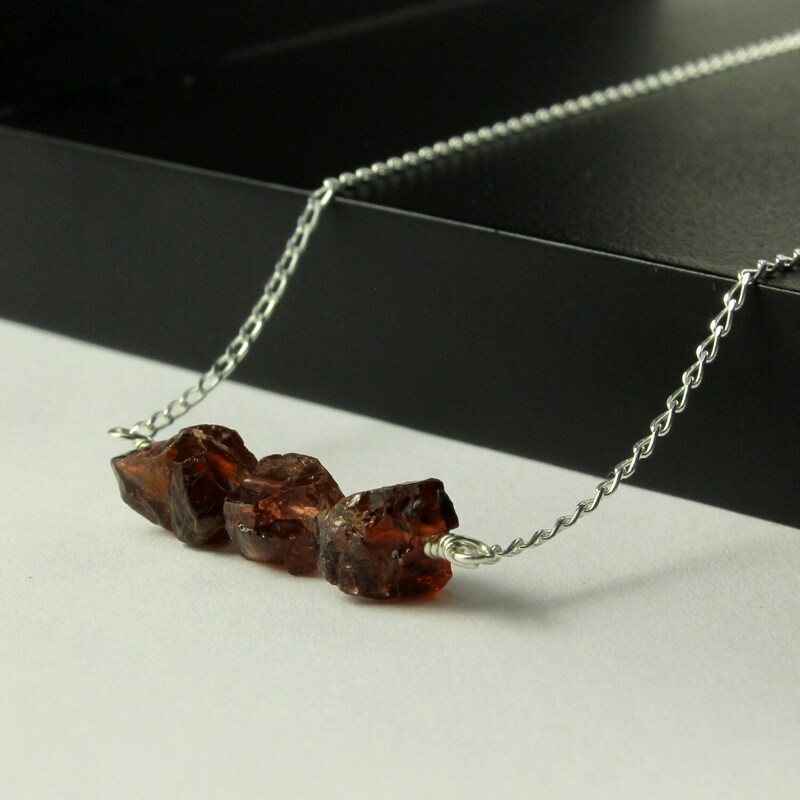 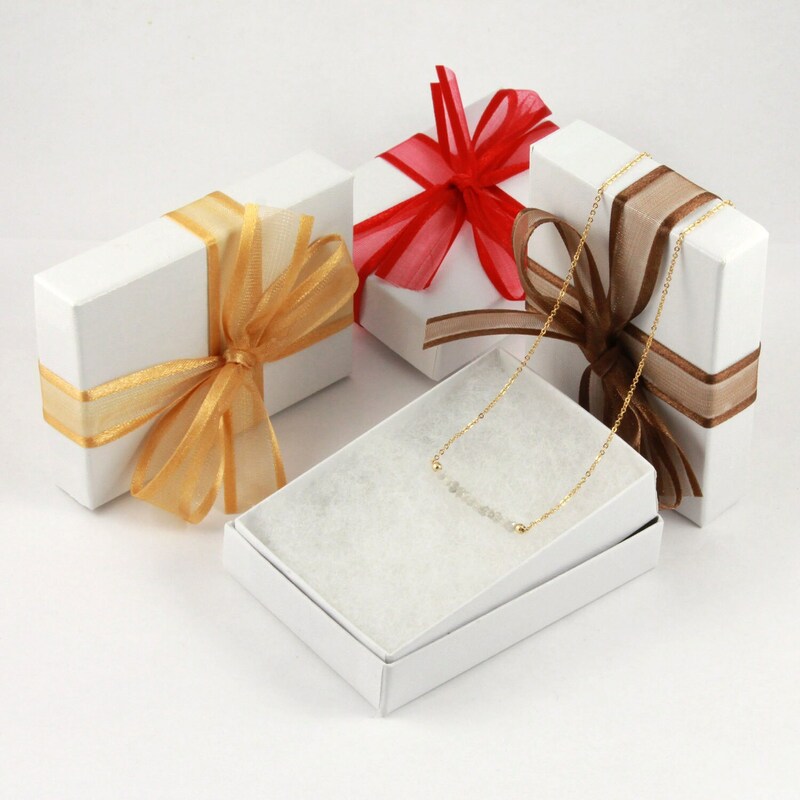 Size, shape and color may slightly vary as the stones are natural. 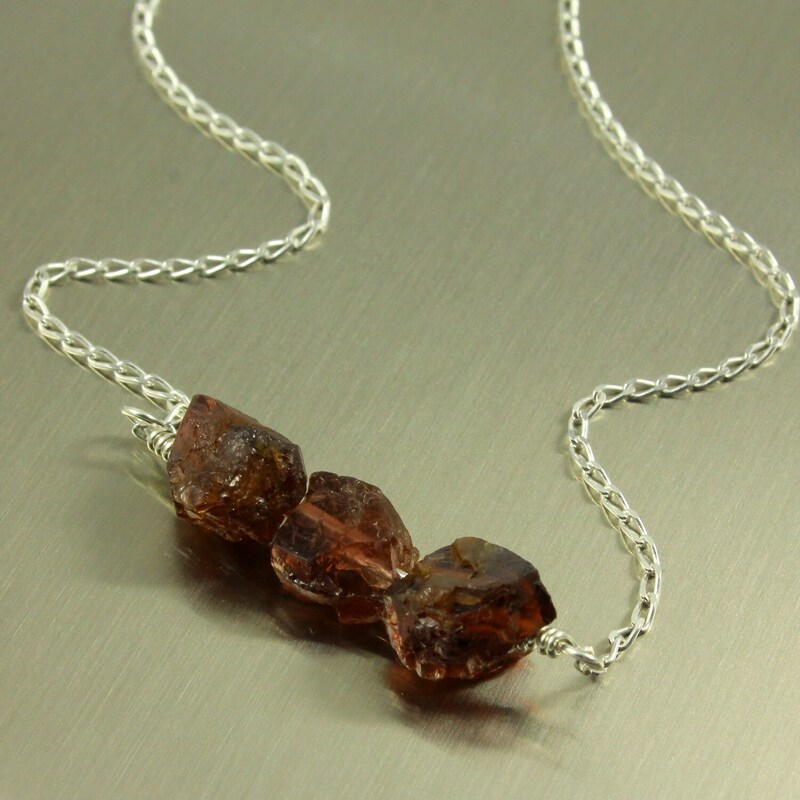 The stones are wire wrapped on Sterling Silver.